Buckle up and get bouncing on your stilts with the original Pro-Jump Jumping Stilt Black Buckles! 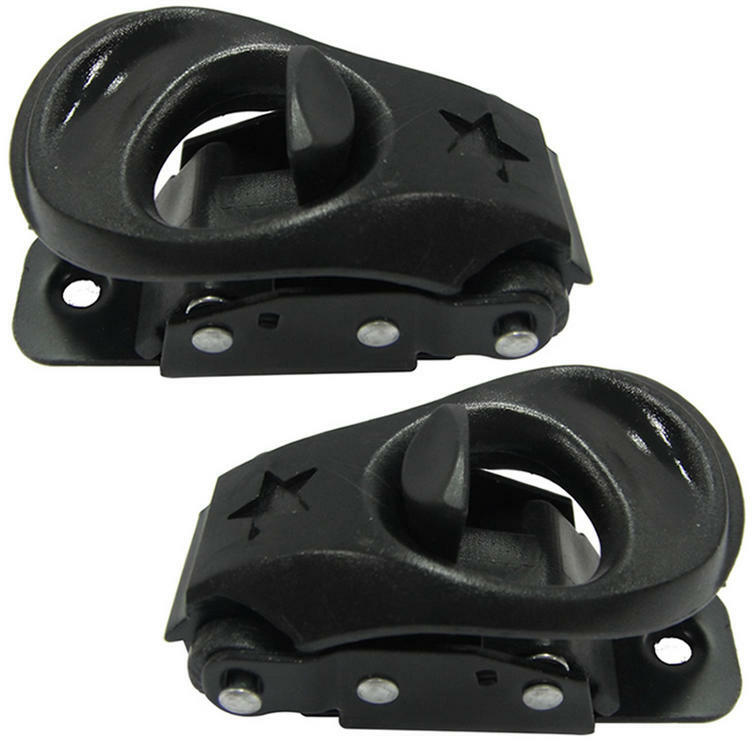 Perfect for replacing a pair of buckles worn out through intensive use, or simply to change the look of your powerbocks, the buckles are easy to fit and can be used on all versions of Pro-Jump stilts. Get your bouncy stilts back in action with Pro-Jump Black Buckles! The Pro Jump Buckles are also available in other colours and provided individually. Please click here for the Pro-Jump Jumping Stilt Buckles. We stock a full range of Pro-Jump Spare Parts. Please click here to see what's currently available. Compatible With - These buckles MAY also be compatible with other brands of Powerbocks (however we can not guarantee this) including PoweriZer, PowerStrider, Fly Jumper, Jolly Jumper, Air Trekker, Air Runner, Speed Jumper, PowerStrider, 7 League Boots, PowerSkip and PoweriSer. If you are unsure after checking the photos and description, the Pro-Jump Forum (search Google) may be able to advise if you post photos of your Jumping Stilts.